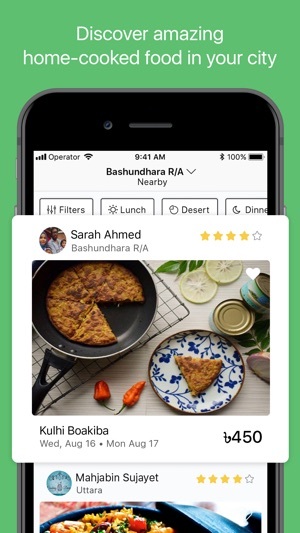 Browse through the best culinary creations that Bangladesh has to offer, or join as a Cook and offer your own delicious food for others to buy. - Confirm your order and enjoy! 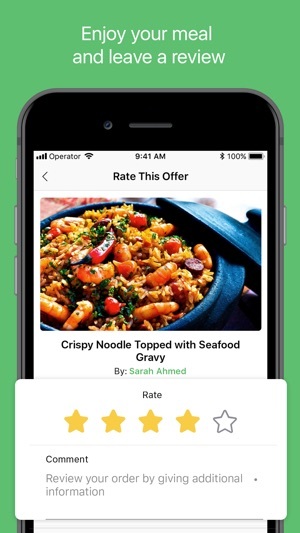 The Cookups app does more than help you order delicious homemade food. 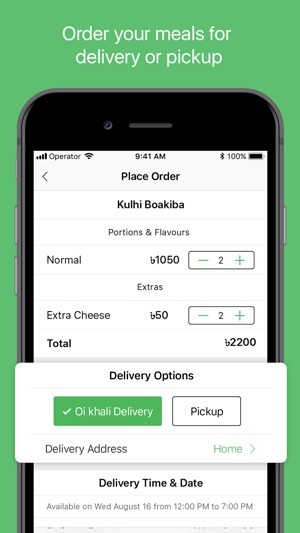 You can also save your favorite offers, manager your orders and a lot more. 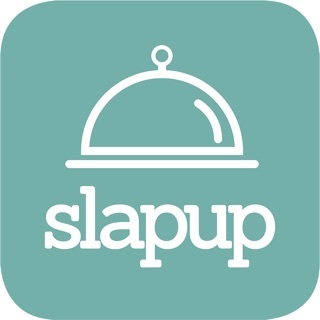 Now you can get early access to the next version of Cookups by contacting us a appadmin@cookupsapp.com. 2.Some minor bug fixes to improve user experience. The picture quality is maintained in the Website but in the mobile app, the image quality significantly decreases and when you zoom in, the image is distorted! 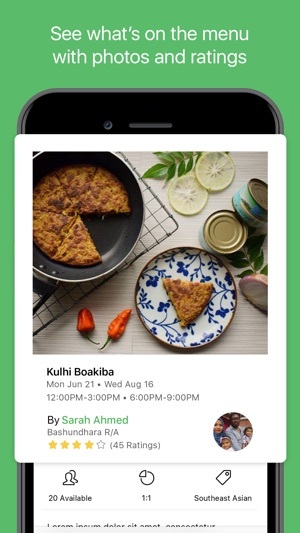 In the food business, images are extremely important to attract customers so they really need to fix the image resolution in the mobile app asap! Thank you for respecting iOS interface guidelines well, and the service is quite good as well. We have passed on your comment to our development team and they are very happy!